Dolpo Tarap valley trek has been one of the most popular and well-loved trekking trails in Nepal, as it takes us to a living library for many researchers who love to explore the beginning of the human civilizations and Tibetan Buddhism.Apart from many other attractions, SheyPhoksundo National Park, the largest national park in Nepalis one of world’s natural hidden wonders. The trekking to Tarap valley is exploring of people living around, their warm hospitality, their tradition, yet unspoiled culture and its hidden wonder. The snowy peaks, ancient isolated villages, rich wildlife, Buddhist Monasteries and wonderful lakes undoubtedlylure every one of us who visit to the area. 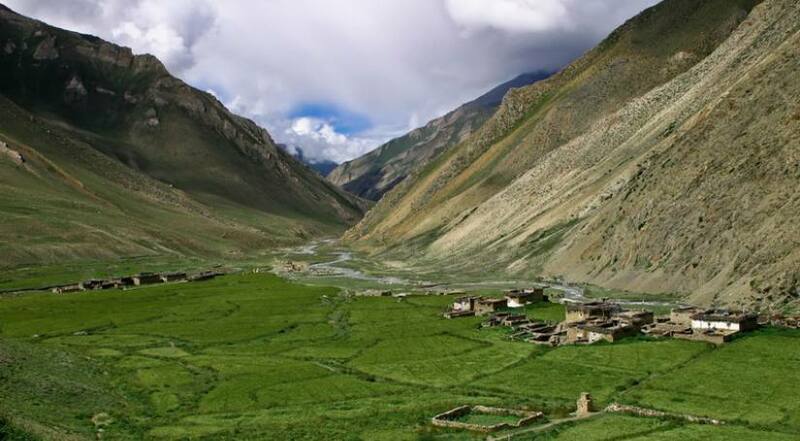 Dolpo region has a lot to offer the trekker who wants to see something different to the better known areas in the east. The landscape is totally different than any other parts of the country. The rugged mountain ranges here give you way to barren rolling hills; fascinating lakes reflect snow capped peaks; outlying monasteries and villages populated by people of Tibetan descent eking out an existence in a harsh, inhospitable climate and deep, virgin forests sheltering birds and animals found only in this region. The people follow an amalgam of Buddhist, Bon, Shaman and Hindu traditions and behind many houses throughout Dolpo you will find carved wooden faces, dok-pa, which is believed to offer protection against evil spirits. The region offers opportunities to visit ancient villages, high passes, beautiful lakes, isolated monasteries and also to experience the vast array of wildlife inhabiting the region, including Blue sheep, Mountain Goat, Jackal, Wolf and the legendary Snow Leopard. There are several routes to Dolpo, especially from Pokhara and Jumla. The Dolpo Tharap valley trek begins with a flight from Nepalgunj to Juphal, then we head up to Dunai, the district headquarter, along the banks of BarbungKhola and continue SheyPhoksundo National Park and to Tarakote and finally making trip around the SheyPhosundo area and having magnificent views of Dhaulagiri to the south and Tibetan ranges C Kugung La and Khyung La to the north. We descend down to Suli Gad river to Raha, the park entrance and finally to the hamlet of Juphal. From there, we catch plane to Nepalgunj or Pokhara or direct flight to Kathmandu.